A voter contacted me asking for more information on the the different candidates running for Alameda County Central Committee. 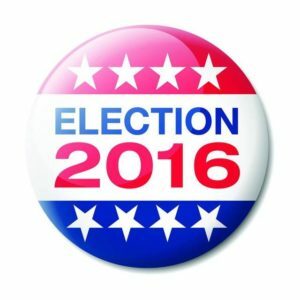 To make it easier on voters, here is a list of the candidates, with whatever information I know about them as well as links to public information on them. If you know of other resources, please share them. Committee members decide on which candidates for local office will get the Democratic endorsement and they pass resolutions on issues of local, state and national interest. They are also members of the California Democratic Central Committee and vote on state-wide and national endorsements. Names in *ALL CAPITALS are those I recommend, (i) denotes incumbency (B) denotes a Bernie Sanders supporter while (H) denotes a Hillary Clinton supporter. They are listed in the order they appear in the ballot. Please feel free to e-mail me if you want more information about any of the candidates. You can read more about my recommended candidates here and see my whole Alameda County Voters Guide here. Sharon Ball has been a member of the ACDCC since 2008 and is active in the Women’s Caucus. Brett Badelle currently works in the government relations department at BART. He is a founding member of the Black Young Democrats of the East Bay and is an alternate on the Alameda County Central Committee. He was Jean Quan’s Senior Policy Advisor on Public Safety and was campaign manager for Tony Thurmond. He’s a member of the Metropolitan Greater Oakland Democratic Club and the Wellstone Democratic Club. He’s running on a slate with three others. Michael Barnett is a physicist at Lawrence Berkeley Labs. He is a long time member of the ACDCC and the author of the CA Democratic platform sections on education and criminal justice. He lives in Oakland. Jamila English is Senior Policy Analyst and Community Liaison for Oakland Vice Mayor Annie Campbell Washington. She is an alternate at the ACDCC. She managed Elizabeth Echols’ campaign for Assembly. Elizabeth Echols was appointed by Gov. Brown to direct the California Public Utilities Commission’s Office of Ratepayer Advocates. Previously she was appointed by President Obama to direct the Small Business Administration for the Western region and prior to that she was Policy Director at Google. She ran unsuccessfully for State Assembly in 2014. She lives in Berkeley. Kathy Neal is a business consultant and long term Democratic Party activist and ACDCC member. David Shiver is an urban economics/planning consultant. He is a former member of the ACDCC and the current president of the Berkeley Democratic Club. Karen Weinstein serves on the Berkeley Commission on the Status of Women, and is an activist and a grassroots organizer long-involved in the struggle for women’s rights, labor rights, and health care. Karen is a health educator, former member of the ACDCC and current vice-president of the Berkeley Democratic Club. She’s a strong Hillary Clinton supporter. Bonnie Wheatley is a healthcare consultant. She has been a member of the ACDCC since 2008 and is the Chair of the Alameda County Commission on Status of Women. Vincent Casalaina is a cinematographer and longtime progressive Democratic activist. He is the Vice-Chair of the Progressive Caucus of the California Democratic Party and in the leadership of Democracy for America and the Wellstone Democratic Club. He is a Sanders supporter. He is running in a slate with 3 other Wellstone members. He lives in Berkeley. Andy is a young Democratic activist. He is active in East Bay Young Democrats and used to work for Democracy for America. He is a Sanders supporter. He has served one term in the ACDCC but was involved as an alternate before that. He lives in Oakland. Floyd Huen is a physician and member of Wellstone Democratic Club. He’s running in a slate with three other candidates. Kate Harrison is a policy consultant and member of the Wellstone Democratic Club. She is running in a slate with three other Democratic activists. She lives in Berkeley. Dianne Martinez is the current Mayor of Emeryville. She was elected to the Emeryville City Council in 2014. She is a TV producer. Beverly Greene is a long-time member of the ACDCC. Ces Rosales is a committed Democratic activist. She’s been an associate with the ACDCC for the last six years and has had a variety of roles with the party. She was student leader in the Philippines and came to the US to escape persecution by the brutal Marcos regime. She is a Hillary supporters, but I’m giving her a pass. Len Raphael is an accountant, community activist and treasurer for the Coalition for Police Accountability. He ran unsuccessfully for Oakland City Auditor in 2014. Corina Lopez was elected to the San Leandro City Council in 2014. Previously, she served 2 years in the San Leandro School Board. She was elected to the Alameda County Democratic Central Committee in 2012. Corina grew up in Soledad as the daughter of farm workers, made her way to Princeton and now runs an IT company with her husband. That would be me. I’m a human rights activist, working specifically for human rights and against impunity for human rights violators in Latin America, and for the memory of victims of gross human rights violations. I was elected to the ACDCC in 2010. I’m committed to standing up for human rights and against corruption and self-dealing in the party. I’m also Sanders supporter. e-mail me with any questions. Guillermo is a community activist, working specifically on renters’ rights. He has very strong progressive views which almost always mirror mine and has been an ally fighting for civil rights in San Leandro. He was an active volunteer for Obama and is now for Bernie Sanders. SLT articles tagged Guillermo Elenes. Howard is a union activist with the American Federation of Government Employees. He has been a member of the ACDCC for many years. He lives in the Fruitvale district of Oakland. Mario Juarez is a realtor and business owner in Oakland. He ran unsuccessfully for Oakland City Council in 2008 and 2012. He has been a member of the ACDCC since 2010 and is the current Committee Vice-Chair for AD 18. He lives in Oakland. Jim Oddie is Assemblymember Rob Bonta’s District Director. At the ACDCC, he votes as Bonta indicates he should vote. He was elected to the Alameda County City Council in 2014. Since his election to City Council, Oddie has seldom attended ACDCC meetings. He will be a delegate for Hillary Clinton at the Democratic National Convention. Robin is the Chair of the Alameda County Democratic Central Committee and has been so for many, many years. She will be a delegate for Hillary Clinton at the Democratic National Convention. She lives in San Leandro. Pamela is a community organizer and blogger from Oakland. She has a long political history, is an active member of the Wellstone Democratic Club and was elected to the ACDCC in 2012. She is a Sanders supporter. Uno is Political Director of the Asian Pacific Environmental Network He was recruited to run in a slate with the incumbents in the race (save for me). Mike is a human rights activist specializing in privacy rights. He runs the Center for Human Rights and Privacy and investigates the use of mass surveillance by law enforcement within the US. He was in the San Leandro School Board from 2006 to 2014. He is a Sanders supporter. Randy is a graduate student at the University of San Francisco. Peggy was California Political Director of Obama for America from 2008 to 2012 and is currently Hillary Clinton’s California Political Director. In the interim she managed Libby Schaaf’s successful campaign for Oakland Mayor and served as her senior special advisor. Marlon is an elected member of the Alameda County Board of Education, now running for re-election. He was appointed as member of the Alameda County Democratic Central Committee to fill a vacancy in 2013. He lives in West Oakland. Linda Perry is the current treasurer of the Alameda County Democratic Central Committee, and thus an Executive Board member, and a long-time member of the ACDCC. She is a former San Leandro School Board and City Council member. Linda works as treasurer for political campaigns, including those of candidates seeking the Democratic endorsement. Diana is a long time member of the Alameda County Democratic Central Committee. She is a retired teacher and member of the San Leandro School Board. She supports Sanders. Pamela Price is an Oakland based civil rights attorney. She ran unsuccessfully for Assembly in 2014. Oakland Tribune endorsement of her Assembly run. Mike Bucci was elected to the Newark City Council in 2014. He is (or was) a Project Manager for Millwrights Local 102. Nancy Thomas has been an ACDCC member for a long time and she also sits in the Newark School Board. Paul Sethy is an IT manager and has been a member of the ACDCC for the last four years and is a Director of Alameda County Water District. He lives in Fremont. Raj is a veterinarian who lives in Fremont. He has been an alternate at the ACDCC for a number of years. He served a 2-year appointed term in the Fremont City Council. Pat Danielson is a Health Information Manager and member of the Washington Hospital Healthcare System Board. She lives in Fremont and has been a member of the ACDCC since 2008. Update: I was re-elected to the Committee. Thanks to everyone who voted for me. Once again, I’m running for re-election to the Alameda County Democratic Central Committee. I’m running for one of the ten seats in AD 18. I am an unapologetic bleeding heart liberal, committed to pushing the Democratic party towards adopting an agenda that includes the respect and promotion of all human rights: civil, political, economic, social and cultural. I am fully committed to cleaning up the Democratic party from the corrupting influences of money and cronyism. Currently, the Alameda County Democratic Central Committee is suffering from a numbers of ills. One of the main jobs of the Committee is to give the Democratic endorsement to candidates for non-partisan local races. Unfortunately, several Committee members are either paid campaign consultants themselves or have close relationships with such people – and they take advantage of their position in the Committee to lobby to get their clients the Democratic endorsement. This has resulted in the Democratic endorsement being given to candidates who do not have particularly progressive ideas. Indeed, the Committee has endorsed candidates that support the militarization of police, the widening of the school-to-prison pipeline, mass surveillance and impunity for police brutality. While as one of the few liberals in the Committee, my effect over the last four years has been limited, I have been able to stop the Democratic endorsement from going to at least some of the worst candidate – including one that wanted to raise the Chinese flag over San Leandro City Hall paying homage to a government that has imprisoned and disappeared countless critics, members of religious minorities and human rights defenders, while brutality occupying Tibet and other lands. My other main reason to run for re-election is that I believe that if Bernie Sanders manages to win the nomination and then the presidency, he will need supporters working at all levels with the Democratic party in order to push his agenda forward. If he doesn’t win, and instead decides to lead a revolution from the Senate, then the support of Democratic grass root activists is even more important. But let me be clear: as a liberal Democrat I cannot support Hillary Clinton and her neo-liberal/neo-con agenda which imperils America and the world. Over the last four years, I’ve written from time to time about my experiences as a Committee members, please read further if you want to know more about me and my candidacy. Please feel free to e-mail me with any questions or comments. Mike Katz-Lacabe, my husband and a privacy rights advocate. In AD 15 (Oakland Hills & North Oakland, Emeryville, Berkeley and Albany – 9 seats available) I recommend you vote for the following candidates. Andy Kelley: Andy sometimes plays politics to his own detriment, but his heart is in the right place and he is also committed to a progressive agenda. Len Raphael: Len is intelligent, thoughtful and has an insurgent streak. I think he would bring a much needed non-establishment perspective to the Committee. Ces Rosales: Ces is a very progressive LGBT and feminist activist in Berkeley. We don’t always back the same candidates (she’s a Hillary supporter), but I respect Ces’ independent streak. Raj Salwan: He has been an alternate for a number of years and is the most progressive candidate running in that district. Want to Help Change the Democratic Party? Run for County Central Committee! Should Demos endorse John Perez or Betty Yee? Central Committee Terms Are Now 4 years instead of 2. (Edited to add list of people I’m supporting and to add my stand on Hillary Clinton).